I've seen these cake buntings on Pinterest and was biding my time to make one. Today is Shruti's birthday and the fall birthday girl gets my favorite baked good of the season - zucchini bread! 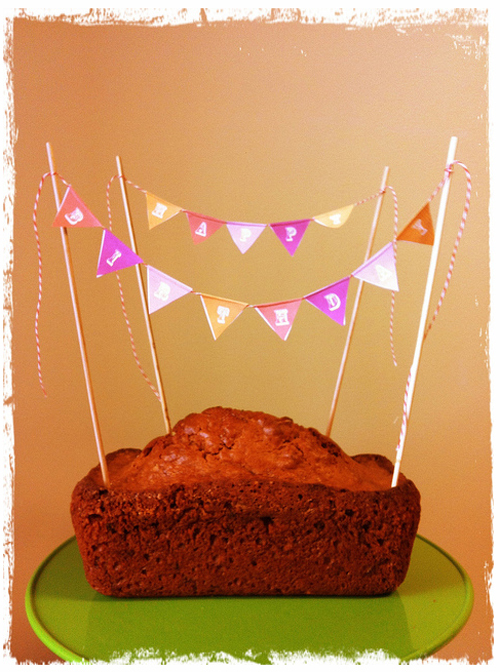 Thank goodness for the cute bunting because without it, zucchini bread doesn't look very exciting for a birthday! I didn't know it was called bunting - learned something new. I no longer have to say chained-flag-sign-thing. Hey, shouldn't you be in Toronto this time of year ;) ?